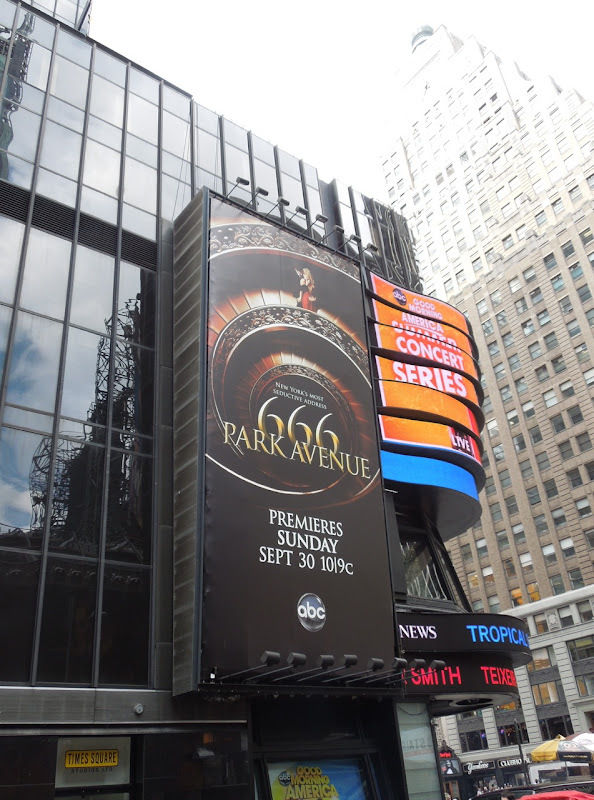 No doubt inspired by the popularity of groundbreaking genre show's like American Horror Story and The Walking Dead, ABC brings us 666 Park Avenue, a slice of fantasy horror for mainstream audiences. They tried and failed earlier this year with the short-lived The River, so let's hope this spooky attempt doesn't end up languishing in one season hell. 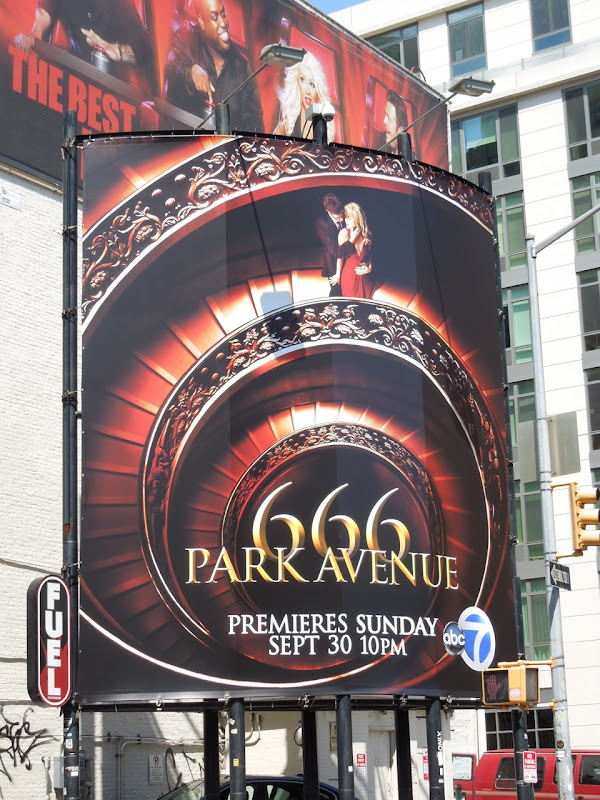 Fortunately this show, about an upscale Manhattan apartment building and its residents who may be possessed by some demonic force, has veteran stars like Vanessa Williams and Terry O'Quinn, plus bright young things like Rachael Taylor and Dave Annable to draw in the viewers. 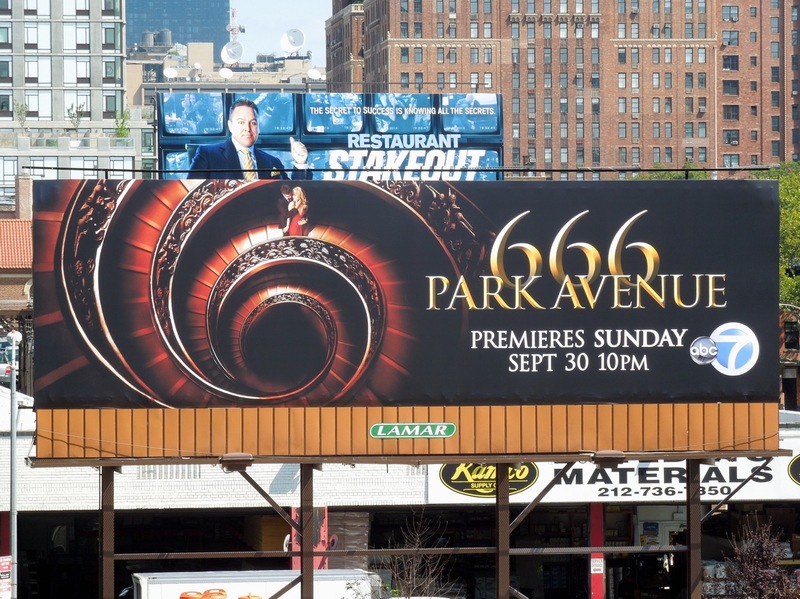 666 Park Avenue is also based on the novel of the same name by Gabriella Pierce and has been developed for the small screen by David Wilcox (who has Fringe, the U.S. remake of Life on Mars and even Law & Order on his resume). 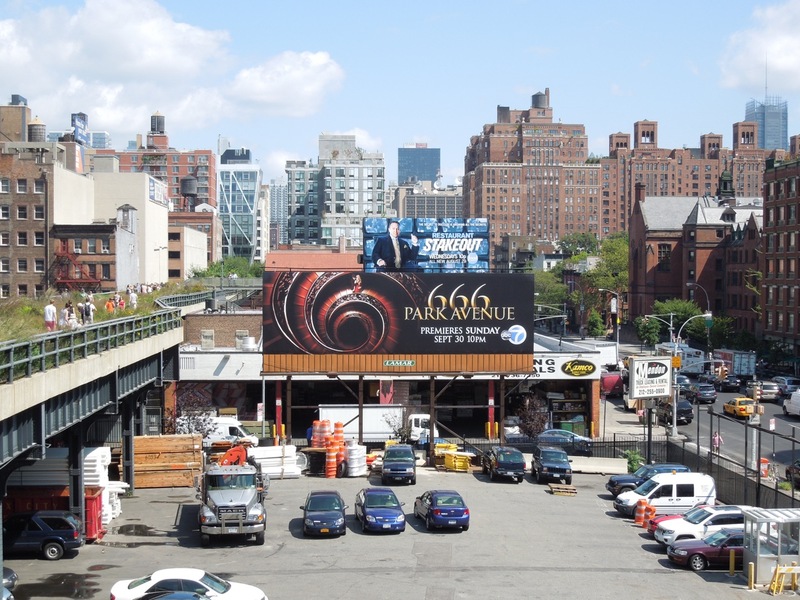 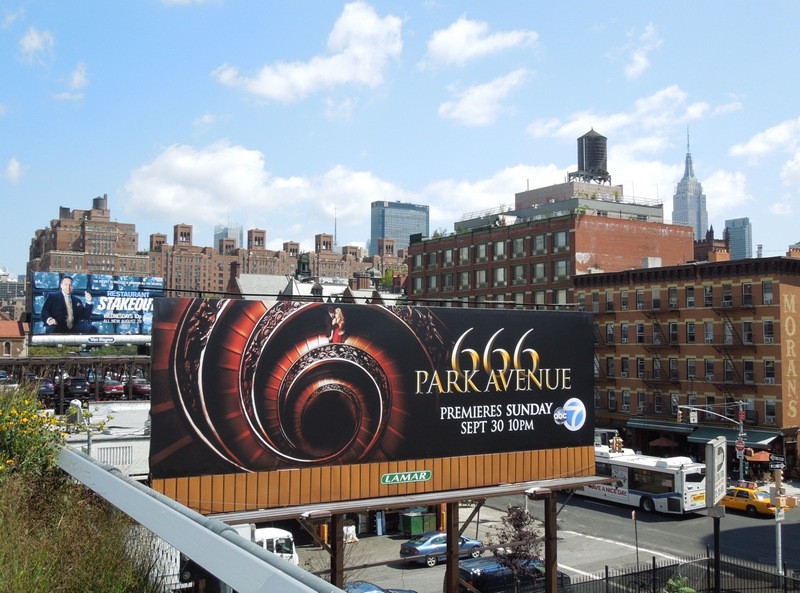 These striking billboards for the new series were snapped around the streets of New York City on August 28 and in L.A. on August 31, 2012, including this standard landscape version beside the High Line elevated park on Manhattan's West Side. 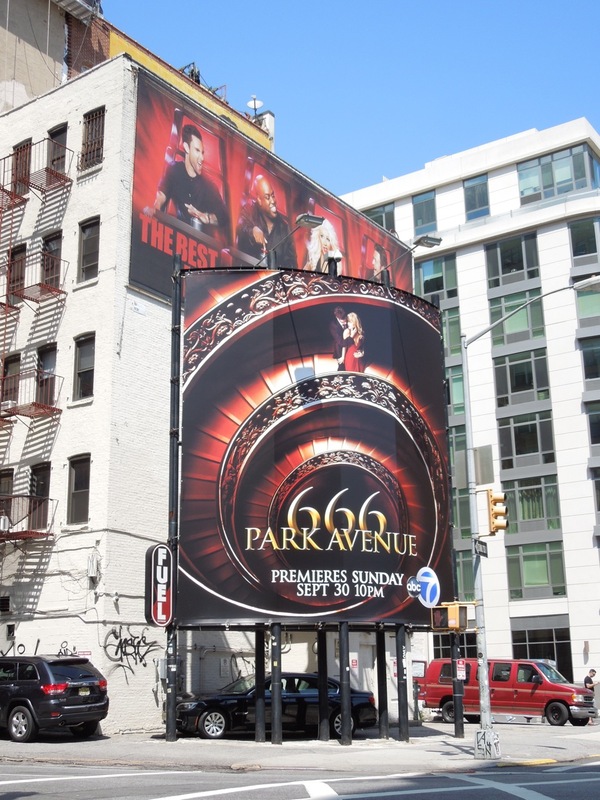 Daily Billboard likes the spiral staircase design which visually evokes the 666 of the swanky apartment address and the dramatic red implies that this really could be the descent into Dante's Inferno. 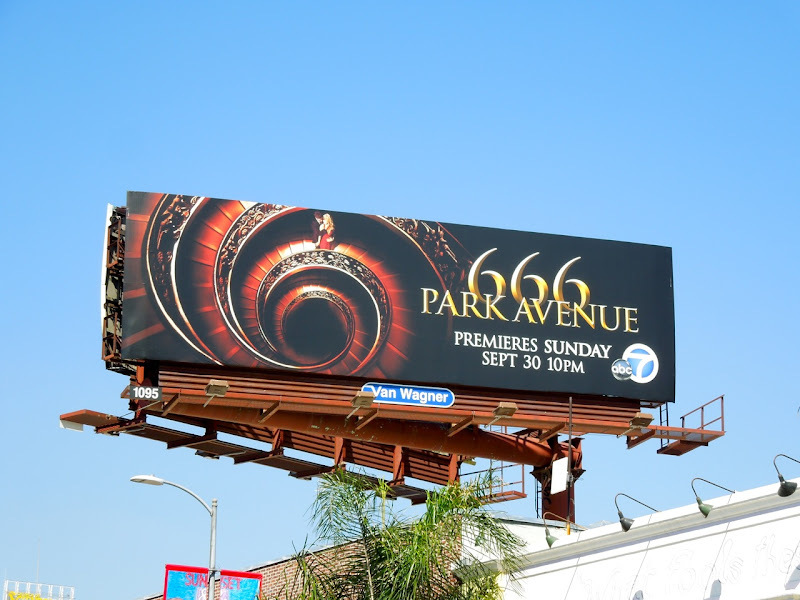 Let's hope the 10pm time slot allows for some scary stuff and things that go bump in the night. 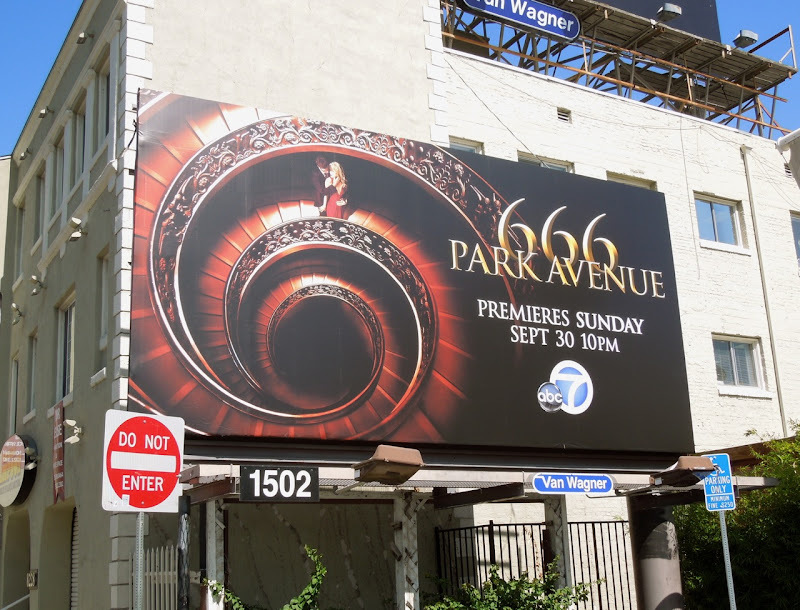 UPDATED: Here's another landscape billboard for the new ABC show snapped along Cahuenga Boulevard near L.A.'s Sunset Boulevard on September 14, 2012.